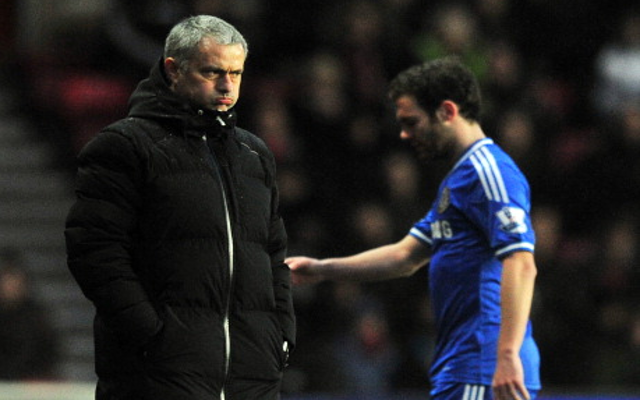 Juan Mata another casualty of the "Mourinho way!". First and foremost, who are we to question Jose Mourinho's judgement? One of the most successful managers in the game, decorated everywhere he has been and the man we asked to return! "What I want my players to understand first of all is I work for the club and not for them. The club is more important than them, the team is more important than them and the moment they understand that, now yes, it's time to build a relation with them individually. The ones that understand straight away that the team and the club are more important than them? They become the ones!" 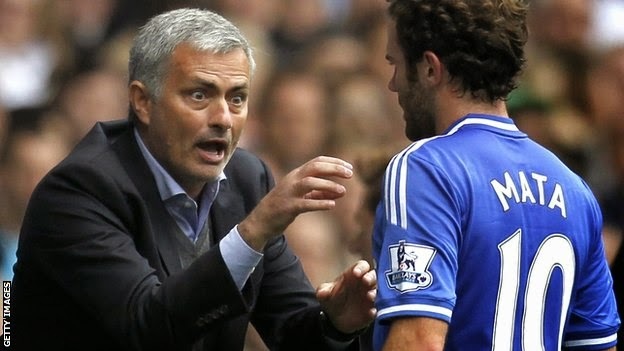 Now I am not one to say that Juan Mata has in anyway demonstrated anything other than what Mourinho has said, but there was obviously a problem. Mourinho states openly above how he works and what he expects from his players and Juan Mata is about to be sold to Man United! It's not rocket science! "There are fantastic players but sometimes these players are fantastic to a certain system, playing a certain way and less fantastic in a different way of playing, a different model of play. He is an unbelievable player, a fantastic boy and is trying to adapt. He is doing his best to adapt. He had some fine periods with us but he needs a little bit more to go in the direction we want to go. To have Mata feeling I am on the bench and I don't play one single minute is hard. I like him very much, the club like him very much and we believe has a big role to play with us. We don't want him to go!" Much has been said about The Mourinho Way but it's been there to see from day one. I was watching Chelsea TV the other day and they featured the Man Utd v Chelsea League Cup semi final second leg 2004-2005. The first leg finished 0-0 at the Bridge and Chelsea travelled to Old Trafford and won 2-1 on the night. During the game Chelsea played their 4-3-3 formation with Robben, Drogba and Duff as the front three. Now throughout the game, the stint that Robbie and Duffer put into the game was immense both with and without the ball and both played a huge part in the win that day. Now, it's the same situation. He demands and work ethic for the TEAM. As he said above, the team comes first and foremost. Now the ongoing situation this season hasn't just been with Mata but also with Kevin De Bruyne and Eden Hazard. He oversees the group collective and always talks of his players together and for him to talk of these incidents indicates the fact that they are not playing ball or being part of what he wants. Much has been made of Eden Hazard and his "reported" attitude to training when Mourinho first arrived. Then Hazard had the episode missing training and was punished by Mourinho and sat in the stands for a game. Since then and I think you can all agree, Hazard has stepped up a level and is becoming an even better player than he was in his first season here. Just last week Hazard responded to reports that PSG were interested in offering silly money for his services in the summer by saying "there is no better place to learn other than Chelsea!" We can safely say that Hazard has turned things around and bought into The Mourinho Way. Another to come under the microscope this season was Kevin De Bruyne. Now I haven't featured the KDB interview with the Belgian press after he left Chelsea last week but you can search for it on the net yourselves, he has had a pop at Mourinho which comes as no surprise. Mourinho slated his performance against Swindon in the League Cup earlier in the season openly to the press. He challenged KDB and everyone else to raise their game and chose to do it in public. Whether that is to test the character and mentality of his players I am not so sure but the fact that KDB has left the club is your answer according to the manager. So a combined figure of around £54m for the sale of Mata and KDB isn't bad business at all considering they have both hardly featured this season. Based on their purchase price, we would have made a profit of around £24m in the space of two years. So why on earth would Mourinho decide he could live without "El Mago (The Magician)" Juan Mata? Who does Mourinho see as his replacement? Looking at our current squad, Oscar is the main man at Chelsea. Still very young and under the guidance of Mourinho to get better and better, Chelsea have a potential World Class player in the side. Don't get me wrong, Oscar is a class act but is by far the finished article at the moment. 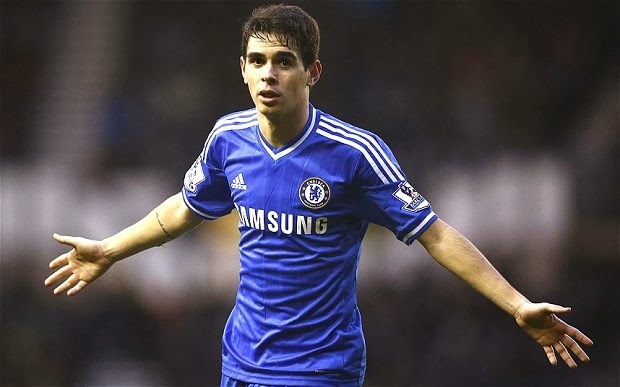 It's Oscar's willingness to work off the ball that initially won Mourinho's affection. It's seems he was more than happy to embrace The Mourinho Way and we have seen the result on the pitch. Willian has come into his own in recent months. He has taken time to settle down and get used to life in the Premier League but now he has, he has been different class. You'll note his work ethic of late. He too has bought into The Mourinho Way! I see Willian as a potential number ten if Oscar gets injured. A present out wide and doing a fine job, Willian would be more than happy to step inside to dictate play from central midfield. Now in light of the Mata move, there is more speculation that Chelsea will renew their interest in Wayne Rooney but are also being linked with a summer move for Ross Barkley of Everton and in this window Mohamed Salah of FC Basel who like Hernandez of United, always seems to score against us! I am not 100% convinced with Barkley and see a move for Salah as one that I believe would suit our style. As I have stated above, signing Salah would enable Mourinho to bring Willian inside. One thing the manager has here is options. We have a number of players who can fill different roles within the framework of the team. The manager is also able to change our formation and adapt the players to the new formation during a game. Chelsea make no rash, ridiculous decisions here and you have to imagine they would have thought long and hard about letting Juan Mata go. If anything, Mourinho would have said to the player he would only allow him to leave if he requested to leave. It's seems that is the case in this instance. One thing is for sure and it's important to remember. Chelsea Football Club have a plan, they have targets for the short and long term. Jose Mourinho has been given a working project and there are important steps to take along the way. What we are seeing now is a demonstration of the club backing their manager 100% and that's important and such a good thing to see. What more can a manager ask but to have the people who have trusted him with their club demonstrate their faith in him! It's about time those people that are venting their anger over Mata and the decision to sell him did the same! Trust in Jose Mourinho and trust in Chelsea!